Thank you to the Bosch KestrelCam watchers for your past enthusiasm and to past KestrelCam sponsors for your support! We have been fortunate to provide front row tickets for an American Kestrel (Falco sparverius) nest box for six years now (2012-2017; no takers in 2018). 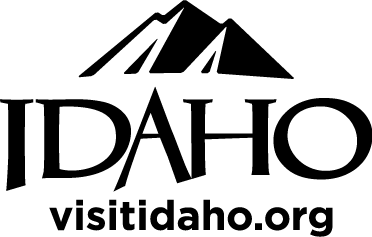 Our nest box is located at the World Center for Birds of Prey in Boise, Idaho. In North America, American Kestrels breed from March-July. They typically lay 4-6 eggs in a nest cavity and parents take turns incubating the eggs for ~28-30 days total. Once nestlings hatch, they are also cared for by both parents; both the adult male and female hunt for small prey items (rodents, insects, small reptiles) to bring to the nestlings. Nestlings are full grown by ~28-31 days old and will fledge (leave the nest) at that point. Fledglings stay with their parents during the next several weeks while they learn to hunt and gain their independence. 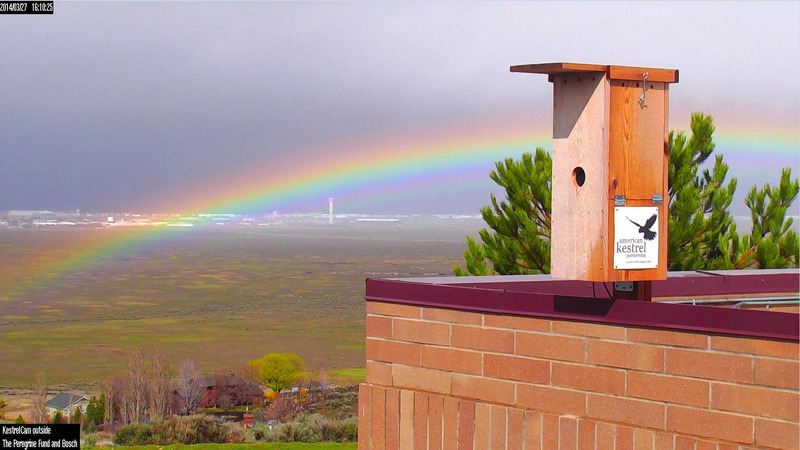 Read more on kestrel biology or on monitoring nest boxes with the American Kestrel Partnership. We are sorry to announce that we will not be streaming the KestrelCam for the 2019 breeding season. This decision will enable us to use the conservation dollars saved to put greater focus on understanding the causes behind kestrel decline so we can appropriately conserve their populations. If you can't imagine a spring without a dose of kestrel family life, worry not! This year, you can tune into an excellent KestrelCam which debuted last year and is co-hosted by Cornell Lab of Ornithology's Bird Cams Project and Raptor Resource Project! Check out our publication on the KestrelCam and please enjoy past season highlights videos below! The Bosch KestrelCam captured this battle between a kestrel and a starling early in the spring of 2014. Click here to learn more. 2016 KestrelCam Highlights: Thirty Days in Four Minutes! 2016 Special Moments: Just Hatched! The male kestrel tries to attract a female kestrel to his chosen nest site with gifts and display flights. Viewers may notice the male hanging about with rodents or other food, making chirping noises to call the female over. He will then often bow while offering the gift. If the female is not hungry, she may cache the food gifts in the nest box for later. The male and female have also already started digging a "scrape," which is the term for the little depression falcons dig to lay eggs in. Both kestrels will do quite a bit of bedding rearranging as they prepare for eggs. They do not add any new materials themselves, however. Viewers may also witness kestrel copulation. Kestrels mate frequently in the weeks before laying eggs. Have any guesses when the first egg may appear for 2018? Comment in the forums here!